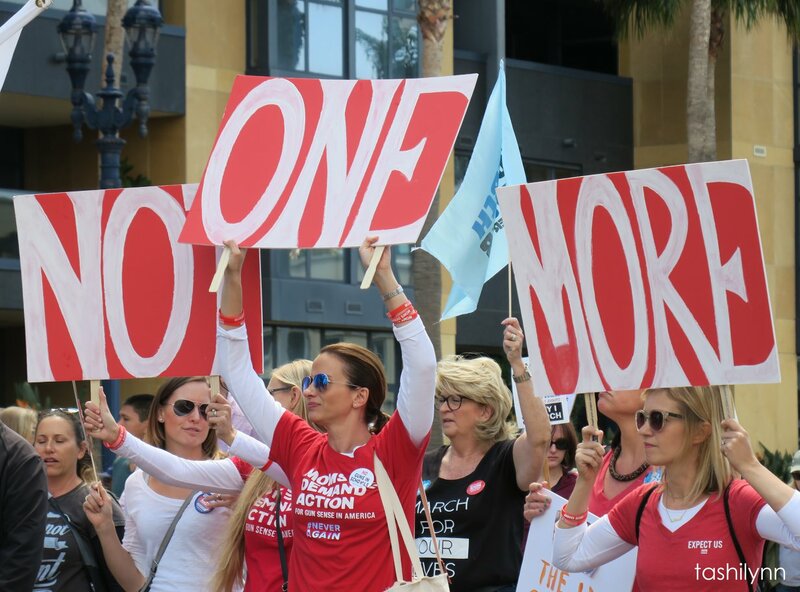 Thanks to all who marched and supported The March for Our Lives in San Diego and around the country. We had over 90 people in two buses join the march downtown (thanks to Misty for organizing transportation). Young people across the country inspire us to keep going, even with all the "March Madness" in the White House. 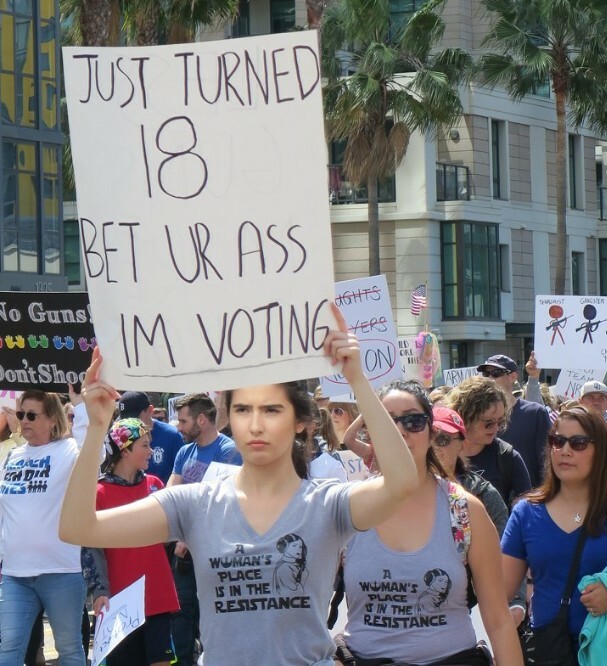 Imagine all those new 18-year old+ voters showing up in June an d November! Getting the vote out (especially here in District 49 with the jungle primary) is still our most important effort right now. Indivisible49 offers our members/volunteers the opportunity to take part in this important work by volunteering at Flip the 49th Neighbors in Action to help with phone banking and/or canvassing. We are only 72 short days away from the primary election on June 5. Only the top two vote getters out of the 10+ candidates running for this position (4 Democrats, at least 6 Republicans and other parties) will move on to the November ballot. We have four Democratic candidates running and need to make sure we have at least one of these candidates make it to the November ballot. Check the events page of Flip the 49th for upcoming events near you to see how you can help. Let's show up on Tuesday to tell Issa and Congress what we want: Mueller protected, Russia confronted, no Trump tariffs, common sense gun laws, a clean DREAM Act, privacy protections, measured diplomacy, environmental protections, and Trump held accountable for his actions. Bring your signs, your friends, and your energy.